Happy Valentines Day & Happy Friday! I personally don't get into Valentines Day, but for those of you that do, I hope it turns out to be all you hoped it would. On that note, I guess we'll get right into my five highlights from this week - linking up with The Lauren Elizabeth. 1). Both of my girls are turning into voracious little readers. I have a passion for reading myself so I'm tickled pink that they are developing this love as well. 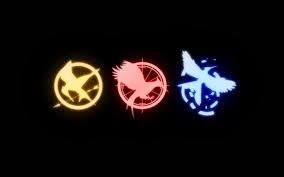 Anyway, my oldest just breezed through The Hunger Games series & was anxious to see both of the movies since she had finished the books. I haven't read the books nor seen the movies, but I couldn't resist joining her for the movies. So Saturday night we watch the first movie at home & followed that up with the second movie on Sunday. I must say, I was pleasantly surprised at the story line...it's piqued my interest enough that I will probably read the books now. I know, I'm definitely late to this party but glad I'm up-to-date now! 2). I did a little more closet clean-out this weekend too. This time I tackled the shoes which was nice because it gave me a chance to organize the giant mound of shoes that has been growing on the closet floor. I'm sure this made the Hubby happy as well! Once again I'm reminded how good it feels to purge unwanted or unused items! 3). I got to participate in a fun blogging opportunity this week from another blog I've been following. Gina over at On The Daily Express (where she talks about all things Express) asked me to participate in a feature she did this week called "Wishlist Wednesday". Gina & I are quickly becoming blogging friends - an unforeseen perk to blogging for me is this wonderful network of supportive bloggers. Anyway, she asked me to browse the Express store online & pick a few items that I would be interested in adding to my closet...of course I was more than happy to oblige! 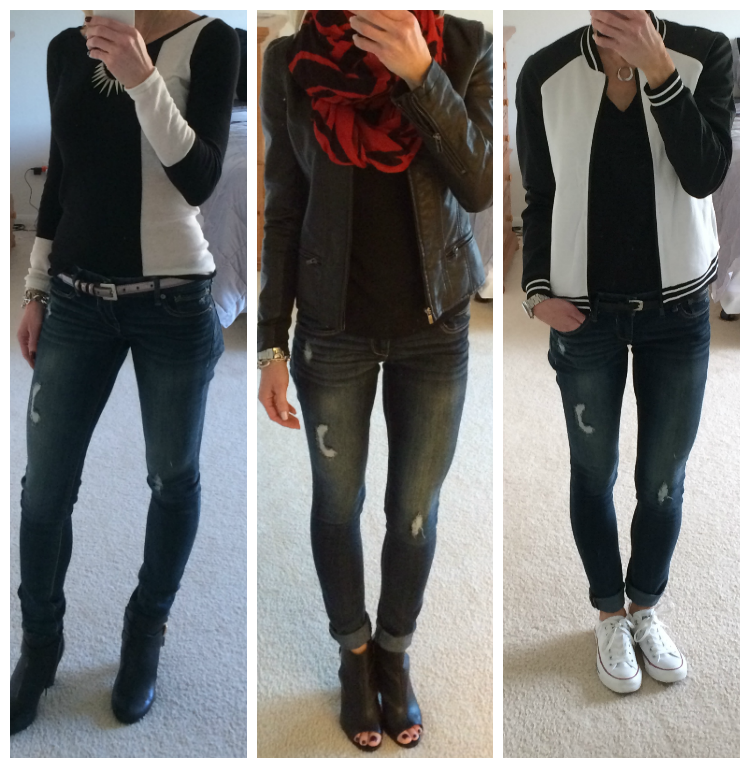 Head on over to her blog & check out her post & my selections. Like I told Gina, it was nice to look at things from a simple perspective of "I like this, I would totally wear this, I need this" rather than from the attitude of "love it but can't afford it". Because of this opportunity I discovered a pair of skinny leggings that I just may have to get! 4). I wanted to be sure to mention to everyone that there are going to be more big sales this weekend in honor of Presidents Day. If you are looking to stock-up on any Winter items, or maybe you have some gift cards to use up from the Holidays, this would be a great weekend to do so. I've already seen sale ads from numerous stores including Charming Charlie, the Loft, American Eagle, the Limited, Banana Republic, Ann Taylor, the Gap, & Express - just to name a few (hence the reason I may bite the bullet & get those skinny leggings; they are 40% off this weekend). Once again the Loft was/is having one of their great sales & I was able to get these 3 tops for a total of $30! 5). Okay, this "highlight" is a bit silly, but it really makes me laugh! I started following The Ellen Show on Facebook & I'm so glad I did! 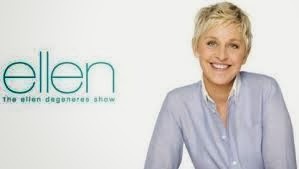 I'm a big fan of Ellen & her show, but I don't actually get to watch her show most of the time. However, if you follow her show on Facebook, they post clips from the show all the time. This way I can at least watch these small clips since I miss the show. It makes me happy as I find her hilarious!! I hope you all have a nice weekend....we are warming up nicely here in CO this week & through the weekend, which is a welcomed treat! I'll be back next week with some new posts! Gina is the nicest most sincere blogger ever <3 I love that there are people out there like her! So I am happy she made your Friday Five AND that you're debating on the distressed skinnies because they really are fabulous! And there are so many things and people who I'd never be able to keep up with if it weren't for Facebook! So yay for that and yay for Ellen! No more debating, I ordered the Stella Distressed Legging yesterday after trying them on in the store!! Yay!! Can I just say how incredibly comfortable & soft they are!! Excited to receive them...I'll be obsessing over my mail box until then! Thanks for stopping by the blog!